David Bowie’s full set at the Glastonbury Festival in 2000 will see its release for the first time on November 30. Available in multiple editions including 2CD/DVD, 3LP, 2CD and standard and high resolution digital formats, "Glastonbury 2000" documents Bowie’s legendary Sunday night headline performance at the annual UK event. 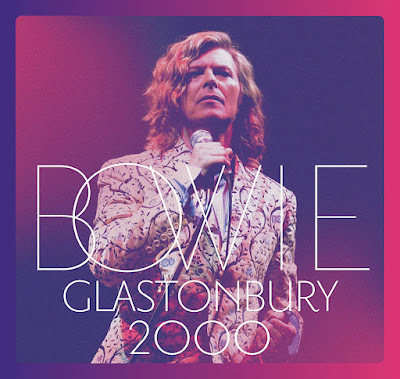 The package includes the full 21 song greatest hits set and for the first time, a DVD of the entire show (only 37 minutes of which has ever been broadcast on TV) including the Glastonbury performance of “Heroes”, a highlight of the record-breaking ‘David Bowie Is…’ exhibition and the only track that has been previously released. Ahead of the Glastonbury release, Bowie’s team will issue an expansive box set entitled “Loving The Alien (1983-1988)” on October 12.